Political think-tank the Collins Institute has called for an online course in personal finance to equip citizens to make better financial decisions. 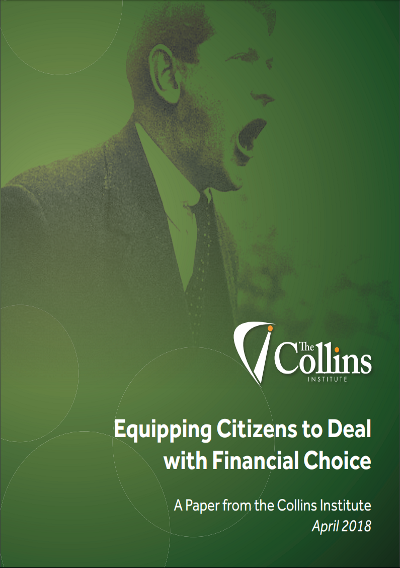 The research paper contains a number of other suggestions on how people can best manage their financial planning more effectively, and will be launched by members of the Collins Institute Board this morning alongside the Minister for Finance and Public Expenditure and Reform, Paschal Donohoe. Also speaking at the launch, Chairperson of the Collins Institute, Marion Coy said: “If you needed ꇔtomorrow to deal with an unexpected bill, do you have it available?